1-800-Plumbing > Blog > Plumbing Advertising > What do plumbers tweet about? 1-800-PLUMBING has been on Twitter for a while and we’ve been seeing good results with it. I decided it would be interesting to speak with several of my “followers” and see how they have used Twitter. The responses I received were interesting and from a practical perspective ones that can help plumbing companies develop a more effective online strategy with a minimal or zero increase in investment. I first spoke with Andrew Levahn at Levahn Brothers Plumbing from Maple Grove, MN. Andrew informed me they have used twitter for 6 months on an occasional basis. He said Twitter is a nice vehicle for free advertising and by adding a company link it helps get people to their website. He doesn’t believe they get a significant amount of business from being on twitter, but he is seeing some results from it. Andrew also indicated that they are in the process of streamlining their advertising and are doing less print advertising, shrinking their advertising in the Yellow Pages, and even considering getting rid of it completely. He’s always looking for free advertising opportunities on the Internet and utilizing sites like Facebook and Twitter to help promote their business. Twitter marketing tip #1: If your company is having a promotion on specific services, advertising them on Twitter is a good way to get noticed by potential customers. Next, I spoke with Ron from AMCO Plumbing in Las Vegas Nevada. Ron said that they just started using Twitter about 5 or 6 months ago. He indicated that Twitter helps keep customers informed of plumbing tips and that he has seen a following of local TV stations that are always looking for any type of plumbing tip. Through Twitter, it is easy to keep customers in the loop and keep some type of communications with customers even if they do not have an immediate need for service. Twitter marketing tip #2: Offer your followers plumbing tips they can use. Remind them of specific maintenance tasks through you Twitter feed. Life gets busy and a friendly reminder never hurts! Reminding them shows you care about your customers as well as your business. Finally, I spoke with Tammy of Superstition Plumbing from Mesa Arizona. Tammy shared with me that they have been using Twitter for 9 months. She believes it is a great tool to keep in touch with people in the local service area. Tammy said: “we get calls from twitter and we get referrals” She indicated that they have been able to profit by using Twitter’s free service. Tammy believes that Twitter is a great tool to interact with other local businesses and provide referrals. It is all about building relationships and trust with potential customers or vendors and Twitter’s network allows you to recommend a company and let people know that they did a good job. Tammy told me that they have made a shift in their advertising away from print advertisement, yellow pages, and mailers. “Everything is on line” We use SEO to drive traffic to our website and have found that is a very cost effective way to get more business. 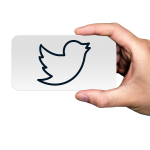 Twitter marketing tip #3: An important thing to remember about Twitter is that hashtags make a difference. Which are important for your business? You should add more than two or three per tweet, though, because this will make you look more professional. I would like to thank the companies that took the time to speak with me about how they use Twitter and what they are doing with their advertising. It’s clear that in this economy many companies are making a shift to more effective and dynamic online advertising. I believe the Internet will continue to become a larger portal for advertising and promotion for companies. You don’t need to spend a lot of money to advertise on the internet and some free services like Twitter can give you garner results when they are properly integrated into your company.